Click the Start button and type Control Panel. Press Enter. In the Programs category, select Uninstall a program. Click to select the product to uninstall from the list. If the standard Windows uninstall method does not work, please contact our Support team by clicking the Submit a ticket button above. Open the Programs and Features category. Depending on your system, you may need to change the view to Large/Small icons in the upper-right corner. 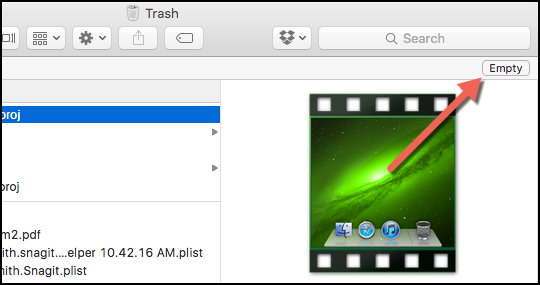 Open Finder and browse to the Applications folder. 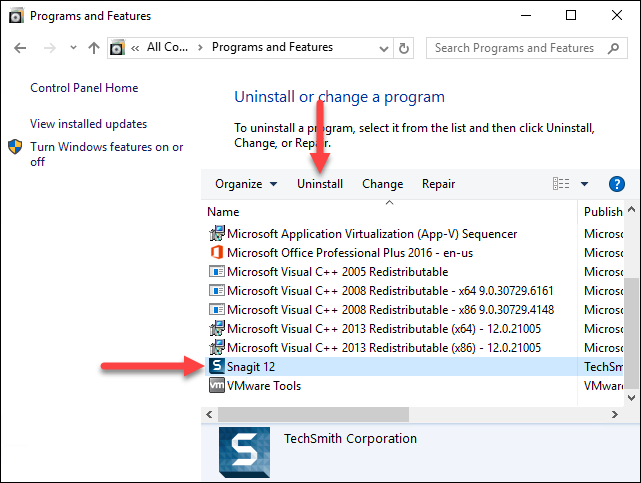 Locate the TechSmith software to uninstall. Double-click to open the Trash and click Empty.